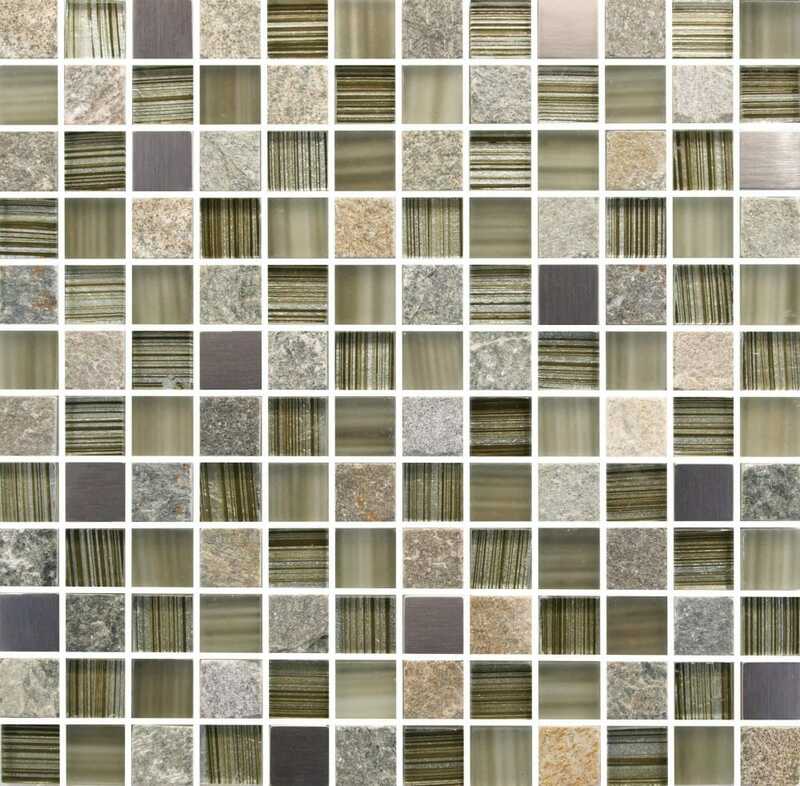 Displaying an elegant arrangement of rough slate and shimmering glass squares, this mosaic is a masterpiece of contrasting textures and complementing tones. Smooth glass and textured slate, grey, browns and a touch of glitter, all help to make this tile elegantly unique so you can create a beautiful, eye-catching interior that retains a contemporary feel. With the Alberta Mosaic you can create a stunning floor to ceiling feature or cover a smaller area for a more subtle injection of tone and texture. 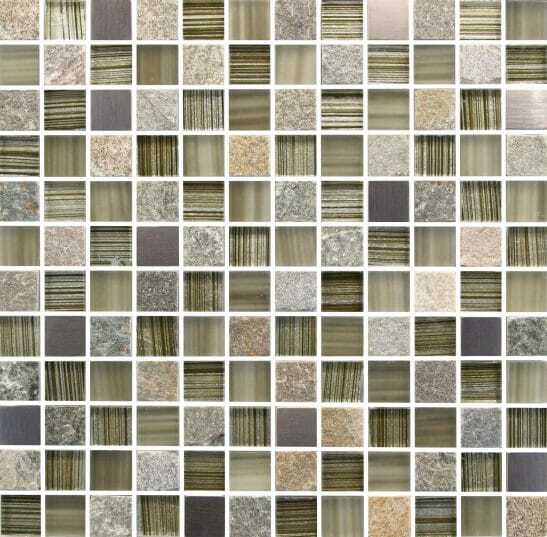 Try enhancing a bathroom, wet room or kitchen with the artistic effect of this masterfully made slate and glass tile. 300mm x 300mm sheet size, 23mm x 23mm x 8mm tile size.